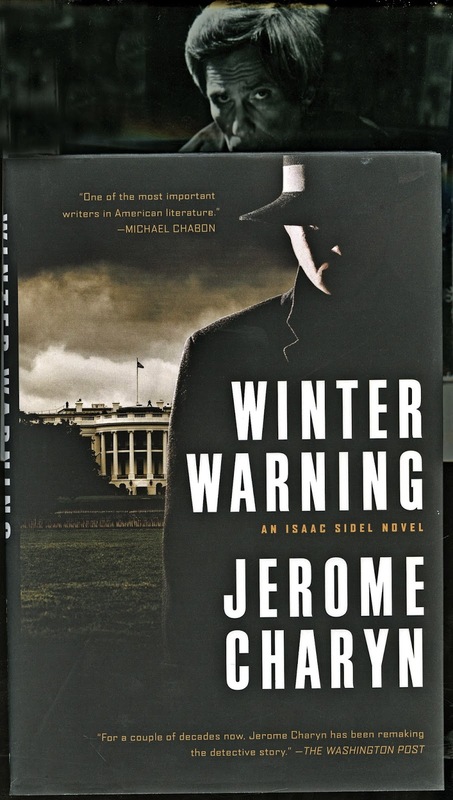 Upon reading Jerome Charyn’s introduction to his latest novel Winter Warning featuring his ex New York City Police Commissioner Isaac Sidel who ends up President of the United States in the 1980s I was astounded by its beauty. 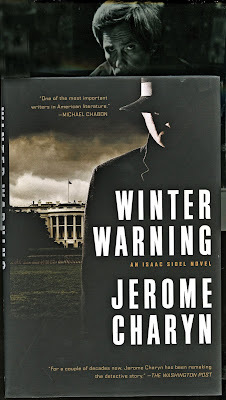 Anybody who may read my blogs would suspect that I am a fan of Jerome Charyn. But few would know that Canada’s first Canadian Poet Laureate George Bowering is not only a fan but he happens to own most if not all of Charyn’s over 70 (novels, non fiction, comics in French etc.) literary output. I had the idea of having Bowering read part of that introduction. I thought this was going to be easy. My old Olympus voice recorder had no USB connection for transfer to my computer. I bought a Sony machine that had that feature. The instructions for its use were serpentine so I went to my friend Paul Leisz’s house in Richmond, BC for help. Leisz solved my doubts and lent me a good microphone and stand. I recorded Bowering who read with delight and punctuated it all with some choice four-letter words. My Rosemary told me that it was not acceptable for the Poet Laureate of Canada to be heard saying those words. Amazingly the Sony captured the warmth and beauty of Bowering’s voice with fidelity. I had no idea how to convert the recording into an MP-3 file. Leisz stepped in for help. I don't know if you are aware that my son Sam is the head voice director for Disney cartoons and integrally involved in the world of animation, video games and online gaming. He works closely with Mark Kondraki, head of OutLoud Audio - and they are close friends. Here is OutLoud's website - they are TOPS! I sent your recording to Mark and asked him to have his staff gently drop out or bleep the f-bombs so you can post a PG version wherever you like. Without destroying the charming and free-wheeling nature of George's recording. Riegel sent me the file back minus the offensive words even though Bowering told me he was not concerned! Now putting an MP-3 file into a blog is not simple thing. Leisz finally solved the problem by placing it into YouTube. The link is this one. In many ways I feel like a pilot of a fighter jet in a photograph showing the support team needed to keep the plane flying! There are some connections between Bowering and Charing. 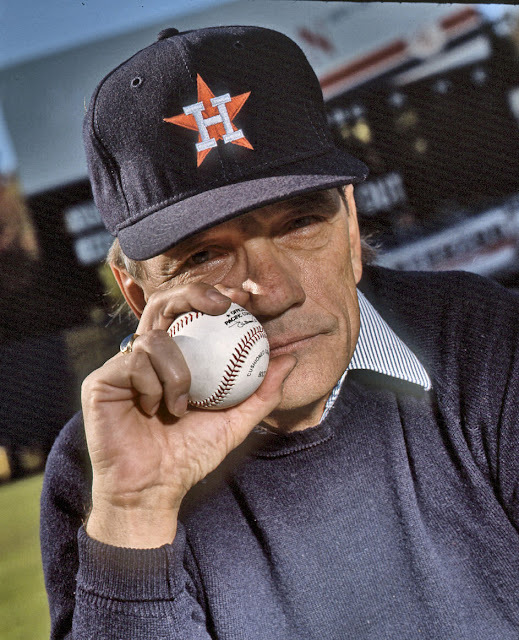 Both are prolific and both are interested and passionate about baseball. Bowering and I share an interest in the Mexican Baseball League. Both Charyn and I play ping-pong. Charyn may be the only novelist to have ever written of a protagonist, a policeman who is shot while playing .